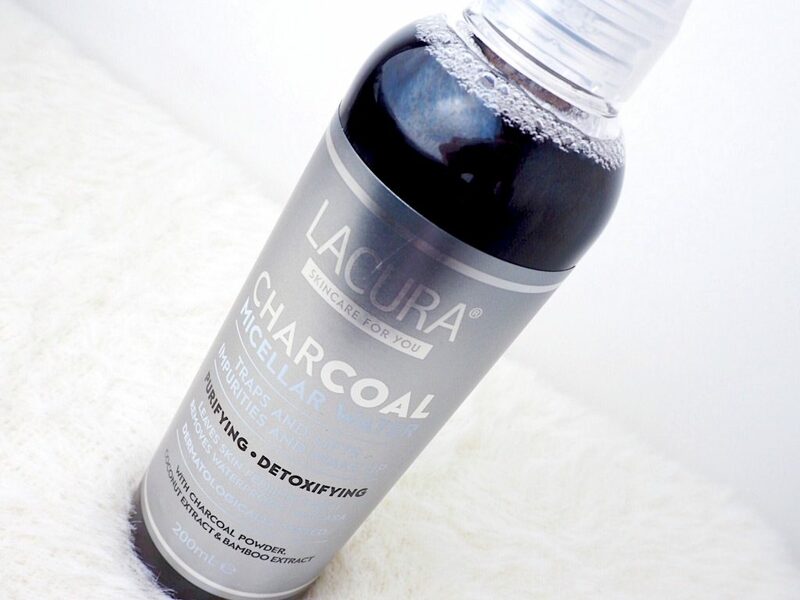 You may remember a few months back, Aldis own beauty brand Lacura released a hot cloth cleanser. This product got SO much press from all sorts of areas and unfortunately sold out before I could get my hands on it. It’s safe to say I was gutted because as far as I knew, it wasn’t making a re-appearance any time soon. When I saw their new charcoal range instore I got really excited as anything with charcoal or clay in seems to work wonders for my skin. They had these two products which I’ll be reviewing today aswell as a mud to foam cleanser and a mud mask. The two other products were more around the £5 each mark and due to my car recently breaking down, I unfortunately had to leave them behind. I think the packaging of these is adorable and goes so well with the product. The grey with black polka dots makes them look more expensive than they are. They also have a clickable seal instead of a re-stick one which keeps the wipes much more fresh and moist. 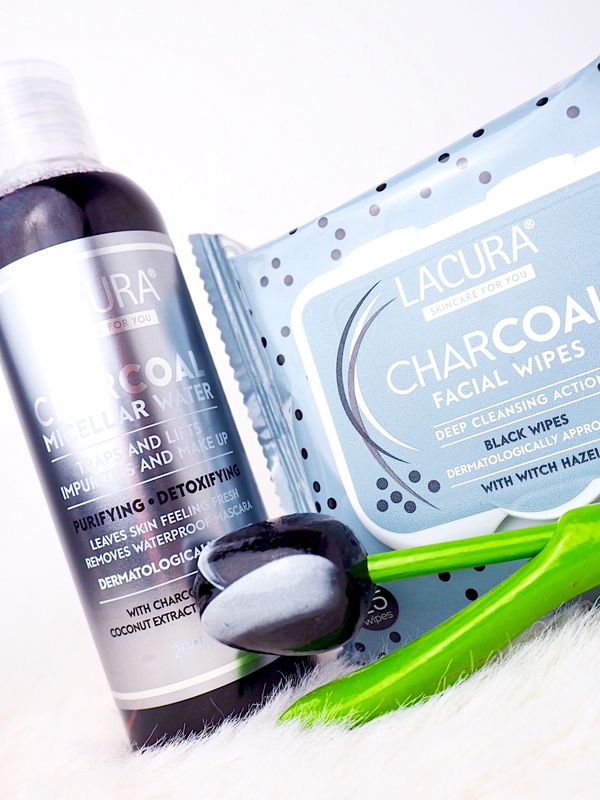 The wipes are BLACK which I thought was super cool and they contain Witch Hazel which supposedly soaks up excess oil from the skin. As far as I’m aware, I’ve never tried a product containing witch hazel before so I’m excited to see the benefits it has. Although the colour seems appealing and quite fascinating at first, I realised when using these wipes that you cannot physically see the residue of the makeup. This might not be an issue for a lot of people but visually this put me off a little as I like to see the makeup being removed. The scent of the wipes is next to nothing which I like as it means they’re quite natural. They also didn’t sting my face or eyes at all which is a rare occurrence for me with any sort of makeup remover. One wipe did remove my whole face of makeup pretty easily and my skin felt fresh afterwards, albeit slightly dry but that’s nothing a layer of moisturiser cannot fix. I’d say these wipes are really good for removing makeup but I can’t say they did all that much for my skin to be honest! I absolutely LOVE the smell of this. It strangely smells like a mens radox shower gel which is honestly really appealing and refreshing. I’m assuming this is from the coconut and bamboo extract in the product. The fact that the product is liquid and black is a little ominous but kind of cool at the same time. It claims to purify, detoxify, leave the skin feeling fresh and remove waterproof makeup. When putting it onto a white cotton pad, it comes out a medium grey colour. I like this better than the jet black wipes as you can still see the make-up coming off of your face. I have to say, this product took my makeup off completely effortlessly, including my mascara. One cotton pad managed to take off an entire half a face of makeup which I found pretty impressive and almost unheard of. My skin felt really nice afterwards but it did leave a subtly sticky residue on my face. This wasn’t too much of a problem though as it’s easy to splash a bit of water on your face to remove it. I like this product very much and would definitely recommend it for just under £2 – worth every penny! I definitely prefer the micellar water over the wipes. 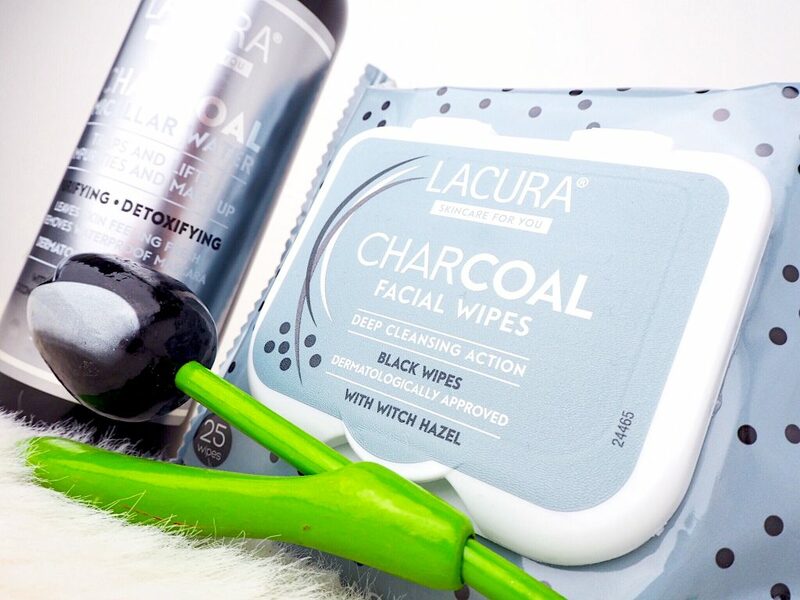 Have you tried any Lacura products? Do you get a bit skeptical about the quality as it’s a supermarkets own brand? Get A Whiter Smile For Christmas: Janina! "Korean Beauty With Klairs From Wishtrend!" I love the sound of these and would definitely be fascinated by black face wipes! ? witch hazel’s quite drying – I used to use it when I was a teen battling crazy spots so probably why your face felt a bit dry after! It really is nice, it’s surprisingly gentle too! I’ve not tried this brand, but i’m always in the market for a new micellar water! If you have Aldis I’m sure they’ll stock it! These sound a little interesting. I’ve never heard of Lacura before, but for the price, the quality is great! The whole black wipes is a little weird but I can tell why, also Witch Hazel, I’ve never heard of that. Like is that good for your skin? I think I would have to be careful with my sensitive skin, especially if it leaves your skin dry afterwards. I’m going to check Lacura out though, see what else they have. I’ve never heard of this brand! And I don’t think I’ve ever used anything with charcoal in it. I do want to try it though and the micellar water sounds great for the price!